Hey! 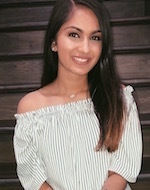 My name is Alisha Patel and I am a sophomore at the University of Georgia. I am a pre-dental student and I’m majoring in Mathematics. I’m so excited to lead the dental outreach chapter at UGA this year as this is an incredible opportunity. This will be my first time volunteering with VAW, but I know I am prepared to lead this year’s trip. I love the idea of being able to bring beautiful smiles to people who otherwise might not get the care and attention they need. I am passionate about working with children specifically because it is interesting to watch them develop and mature as you mentor them. Besides VAW, I am involved with other organizations on campus. I am a member of a sorority, Delta Gamma, and a volunteer at Whatever It Takes, a mentoring program for elementary school children. I also volunteer at the Athens Piedmont Hospital and shadow at various dental offices around Athens. I can’t wait to begin recruiting volunteers and planning this trip! Hi, my name is Andre Ortiz and I’ll be a junior at UC Berkeley this coming fall. I was born and raised in Burbank, CA. I’m majoring in Integrative Biology with an emphasis on Human Biology. I hope to eventually attend dental school and serve as a pediatric orthodontist in the United States Air Force. ​I​ ​believe​ ​that​ ​smiling​ ​at everyone​ ​is​ ​the​ ​only​ ​way​ ​to​ ​ensure​ ​that​ ​the​ ​person​ ​who​ ​needs​ ​it​ ​most​ ​receives​ ​optimism​ ​and​ ​love. Nothing​ ​makes​ ​me​ ​feel​ ​more​ ​proud​ ​than​ ​thinking​ ​of​ ​a​ ​future​ ​where​ ​I​ ​participate​ ​in​ ​that​ ​chain reaction. During​ ​the​ ​summer​ ​of​ ​2017,​ ​I​ ​had​ ​the​ ​opportunity​ ​to​ ​go​ ​to​ ​Peru​ ​alongside​ ​the​ ​UNL​ ​chapter​ ​of VAW,​ ​and​ ​actively​ ​learn​ ​what​ ​difference​ ​I​ ​could​ ​truly​ ​make.​ ​Placing​ ​myself​ ​in​ ​a​ ​clinical​ ​setting, and​ ​assisting​ ​brilliant​ ​dentists​ ​as​ ​they​ ​selflessly​ ​devoted​ ​hours​ ​helping​ ​residents​ ​of​ ​a​ ​village​ ​near Cusco,​ ​made​ ​those​ ​two​ ​weeks​ ​unforgettable.​ ​I​ ​am​ ​extremely​ ​excited​ ​to​ ​bring​ ​this​ ​opportunity​ ​to our​ ​campus​ ​as​ ​the​ ​team​ ​leader​ ​of​ ​BU’s​ ​very​ ​first​ ​VAW​ ​Dental​ ​outreach​ ​to​ ​the​ ​Dominican Republic! In​ ​my​ ​spare​ ​time,​ ​I​ ​like​ ​dancing,​ ​singing​ ​until​ ​I’m​ ​the​ ​only​ ​one​ ​in​ ​a​ ​once​ ​crowded​ ​room,​ ​and watching​ ​Netflix​ ​shows​ ​that​ ​take​ ​up​ ​brain​ ​space. Hey everyone! 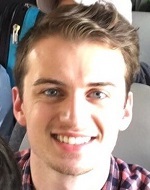 My name is Ben Raymond, and I’m a senior at Brigham Young University. I’m studying Biostatistics in addition to being on the pre-dental track. I have been an Orthodontic Assistant the past few years for a local orthodontist, and I love being as involved in the dental community as possible. Outside of school and work, my passion is doing outdoor activities, like hiking and camping, or being active with sports of any kind. I also feel, and have joy in performing, a duty to serve others and give back to the community, which is I look forward to being a team leader this year for VAW. Hi! My name is Brittany Valledor and I am a Junior at the University of Florida. I am a pre-dental student who is double majoring in Spanish and Nutritional Science. I am thrilled to be the Team Leader for the VAW Dental Team at the University of Florida! 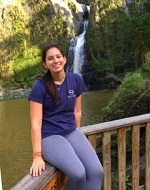 I first volunteered with VAW in the summer of 2015 on a Dental Mission to Jarabacoa, DR. With hard work, I was able to become Team Leader and lead our school’s chapter back to Jarabacoa this summer for our second annual Dental Mission. I look forward to another year of working with VAW and helping to bring smiles to people all around the world who need our help the most! When not working with VAW or other pre-dental organizations, I like to spend my time cooking and baking. I also enjoy spending time with my family and friends as well as traveling. Hi everyone! 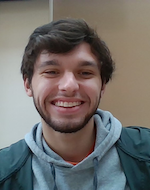 My name is Caleb Willis and I am a current sophomore at the University of North Carolina at Chapel Hill. 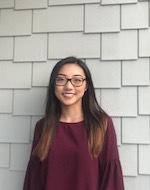 I am a chemistry major with an entrepreneurship minor following a pre-dental path.This will be my first year working with VAW and I am looking forward to traveling with VAW over the summer and engaging in service work! Hello everyone! 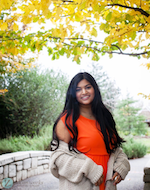 My name is Chandani Shailesh Patel and I am a junior at University of Central Arkansas. I am a pre-dental student majoring in Biology and minoring in Chemistry. I am member of the pre-dental society and Indian student association on the campus. I have had the chance to shadow dentist for the last few years and have realized that I want to pursue my career as a dentist. This will be my first time volunteering with VAW and I cannot wait for it. Being born in India, I have always wanted to serve the underprivileged communities because I was born and raised in one of them. I am very passionate about helping others and making them feel great about themselves. I can’t wait to bring beautiful smiles on people’s faces with my fellow volunteers. Hi everyone! 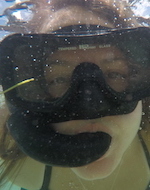 My name is Clare and I am a chemistry major at The Ohio State University. I was lucky to have the opportunity to travel to Peru with VAW. It was an incredible experience where I learned a lot about dental health in other countries. The people of Peru had such an impact on me and hopefully my team had an impact on them. I hope to keep inspiring others to experience this wonderful opportunity! I​ ​am​ ​now​ ​the​ ​Vice President​ ​of​ ​VAW​ ​Stony​ ​Brook​ ​Chapter. My​ ​dream​ ​in​ ​life​ ​is​ ​to​ ​one​ ​day​ ​become​ ​a​ ​dentist,​ ​and​ ​own​ ​my​ ​own​ ​practice.​ ​VAW was​ ​the​ ​perfect​ ​organization​ ​for​ ​me​ ​to​ ​get​ ​involved​ ​in​ ​because​ ​it​ ​combined​ ​my​ ​two passions​ ​of​ ​dentistry​ ​and​ ​community​ ​service.​ ​VAW​ ​provided​ ​me​ ​with​ ​a​ ​once​ ​in​ ​a​ ​lifetime opportunity​ ​to​ ​travel​ ​to​ ​Dominican​ ​Republic​ ​to​ ​serve​ ​underprivileged​ ​communities.​ ​I​ ​had the​ ​ultimate​ ​first-hand​ ​experience​ ​of​ ​assisting​ ​​ ​and​ ​shadowing​ ​different​ ​dentists​ ​from Dominican​ ​Republic.​ ​The​ ​days​ ​I​ ​spent​ ​in​ ​that​ ​beautiful​ ​country​ ​were​ ​truly​ ​some​ ​of​ ​the most​ ​amazing,​ ​educational,​ ​and​ ​influential​ ​days​ ​of​ ​my​ ​life.​ ​I​ ​hope​ ​to​ ​bring​ ​what​ ​I​ ​learned from​ ​VAW​ ​trip​ ​to​ ​my​ ​future​ ​career​ ​in​ ​dentistry. My​ ​goal​ ​as​ ​​ ​Vice​ ​President​ ​of​ ​VAW​ ​Stony​ ​Brook​ ​Chapter​ ​is​ ​to​ ​encourage​ ​others on​ ​my​ ​campus​ ​to​ ​join​ ​our​ ​VAW​ ​family,​ ​so​ ​we​ ​can​ ​all​ ​continue​ ​to​ ​work​ ​together​ ​to​ ​help and​ ​bring​ ​smiles​ ​to​ ​people​ ​in​ ​need. Hi! My name is Emily Krieger. I’m so excited to be the team leader of VAW for Michigan State this year. I am a senior majoring in Human Biology. Having been a member of VAW for 2 years, I volunteered in both Guatemala and the Dominican Republic. My favorite part about VAW is that it combines two things I love: volunteering and dentistry. I l learned so much through the hands-on approach to shadowing and assisting, and it was so rewarding getting to see the direct impact we were able to make on these communities. As team leader, I’m really looking forward to giving other pre-dental students the same fulfilling experience that I had with VAW! When I’m not volunteering or studying, you could expect to find me outdoors, hiking, biking, or playing tennis. Hello! My name is Hosna Esmaelsadah and I am currently a sophomore at Hofstra University. 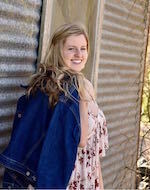 I am pursuing a major in Health Science and a minor in Biochemistry, and I am also on the pre-dental track. Over the past year, I’ve had the privilege of shadowing different dentists, as well as working as a dental assistant, which definitely helped me solidify my interest and passion in this occupation. I believe VAW is an organization that provides fantastic opportunities to serve various underprivileged communities around the world, and at the same time explore the profession of Dentistry. 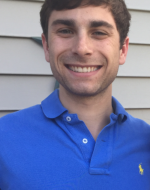 I am very excited to be the team leader at Hofstra University, and I look forward to all the great experiences ahead! 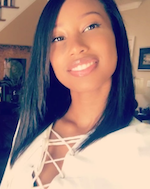 Jada Robinson is from from Atlanta, Georgia and is a senior at Kennesaw State University. She will be majoring in Biology Pre-Dental. Dentistry has always been her passion because of the the positive change it makes in peoples lives. Jada is currently working as a certified dental assistant and loves her job because she can put a smile on patients faces each week. She is looking forward to making a difference with the VAW Global Dental Outreach Team. 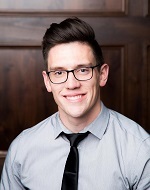 My name is Jason Allred, and this year I’ll be a senior at Brigham Young University. As part of my Pre-Dental coursework, I’m studying Exercise Science and this year I’m a Research Assistant for a professor here. I had the life-changing opportunity to participate on a VAW trip this past summer, and look forward to leading a new chapter next year. When I’m not at school or doing research, I work part-time as a Dental Assistant and love what I do! I’m a major foodie and enjoy trying new things. I also love to exercise and enjoy quality music. I’m so thankful for VAW and the opportunity it gives for others to reach out and serve the less-fortunate. Looking forward to working more closely with VAW this year and serving those in need! I am a senior attending the University of Michigan, majoring in Biopsychology, Cognition, and Neuroscience. I have always wanted to help others, and dentistry is the perfect outlet. I grew up watching my dad run his own private practice, and I have gotten to know many aspects of dentistry and desire to build my own practice one day. Outside of school, I spend my time dancing for a tap team and contemporary team on campus. I love art, photography, piano, baking, and the list goes on. I keep myself occupied with dance, a pre-dental club, and this will be my second year with VAW. I am super excited to be a part of something so great, and am looking forward to another successful trip! Hey everyone, my name is Julia Persky! I’m a junior at the University of California, Berkeley, studying Molecular Environmental Biology. 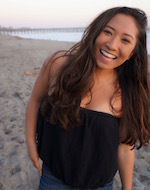 I am excited to be working as a team leader for VAWDO here at Cal. I’m on the pre-dental track, and I participate in Cal’s pre-dental society on campus. I also co-facilitate a class that mentors and advises students who are interested in various pre-health tracks. One of my most valuable experiences was the VAWDO trip I took Dominican Republic last summer, which is why I want to encourage others to have a similar positive experience through the program. 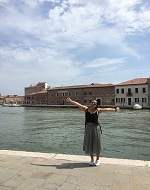 Beyond improving my Spanish and being a brilliant trip filled with fun experiences, I really managed to develop my love and passion for dental work and volunteering. In my free time I enjoy hiking through Berkeley’s beautiful hills to find amazing views of the SF Bay, and during the rainy season I like to go hunting for mushrooms and other fungi. I am grateful for this wonderful opportunity and am so excited to lead an amazing team at the Nova Southeastern Chapter. Although I have been on medical service trips in the past, I am certain that our trip with VAW will be unlike any other because of its focus on dental health. Other interests of mine include environmental sustainability, watching movies, playing table tennis and spending quality time with loved ones. Hello everyone! My name is Kaytlyn Carlson and I am a junior at the University of Alabama. I am a Biology major with a minor in psychology on the Pre-Dental track. 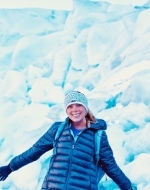 I am passionate about dentistry and I absolutely love to explore new countries. I am so excited for the opportunity to start a VAW Dental Chapter here at the University of Alabama! Hi everyone! 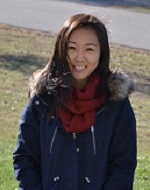 My name is Liying, and I am a biology major at the University of South Carolina – Columbia with a pre-dental track. I am extremely grateful for the opportunity to have traveled to the Dominican Republic with VAW last year. 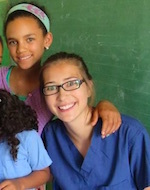 Volunteering in underserved communities like Jarabacoa helped to grow my passion for dentistry and serving others. Through Volunteers Around the World, I was able to gain first-hand experience in assisting with dental procedures which expanded my knowledge of dentistry and deepened my purpose for pursuing this career. Outside of VAW, I am also the Vice-President of the Pre-Dental Club and am a member of Alpha Epsilon Delta, Delta Delta Sigma, and various cultural clubs. I enjoy playing the piano, cooking, and painting in my free time. With the next group of students, I am looking forward to continue working with our dental chapter as Team Leader to help make a positive impact for the regions that lack the dental care they deserve. 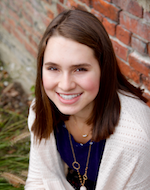 Maddie grew up in Columbia, Missouri and currently attends the University of Missouri- Columbia. She is a senior and will be graduating in May with her Bachelor in Health Science with hopes of attending dental school the following fall. 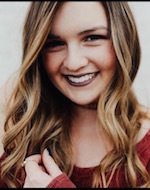 Maddie became involved with VAW through her own service trip to the Dominican Republic and knew that she wanted to be more deeply involved with helping the organization become established on Mizzou’s campus. Maddie enjoys traveling to new places and being outdoors in her free time. She has been to 8 countries and plans on expanding that number in the years to come! Hey! 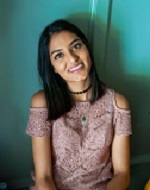 My name is Malieka Rehman and I am a senior at George Mason University. I am a pre-dental student majoring in Biology. I worked at a dental office for 2 years where I solidified my passion for dentistry. Also, I have been an active member of the Pre-Dental Society at GMU for the past 2 years. In my free time I like to cook, workout or play soccer. I am very excited for the opportunity to start a VAW dental chapter at George Mason and be a team leader! Hi! 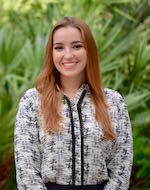 My name is Marisol Mosqueira and I’m a senior at Nova Southeastern University majoring in biology. Since I was seven years old, my dream has been to become a dentist. In addition, I have always had a passion for helping others and volunteering. I first heard about VAW through the Dental Outreach team leader at UF. I volunteered on a trip in the summer of 2016. This trip made me realize that this truly is a career I want to pursue. When I came back to Nova, I decided to start a chapter here and I plan on traveling with other students this year. I am beyond excited to be a team leader and hope to change as many lives as possible! Aside from school, I love painting, drawing, and anything that I can use my artistic talent in. I believe that my creative skills can also help me in my future as a dentist. I also love both playing and watching sports, especially basketball. I am 21 years old and a biological sciences major with a horticulture minor. This will be my second year participating in the Volunteers Around the World program and I’m excited to take on the role President. I try to participate in as many groups as I can, I am a part of billiards club, dental club and work 25 hours a week at the grocery store in the area. When I find free time, I like to spend it with my friends to show them that the people that mean the most to me are a priority. Hello everyone! My name is Meredith Guggenheim and I am a co-president of Volunteers Around the World Dental Branch at The Ohio State University. I am a senior, pre-dental student majoring in Health Sciences and minoring in Dance. In December 2016, I traveled with VAW to Cusco, Peru on a dental outreach trip. I am so grateful for the experiences I had while traveling and volunteering in Peru. This year, I hope to inspire more OSU students to become involved with our organization. I look forward to serving as a co-president! In December 2016, I traveled with VAW to Cusco, Peru on a dental outreach trip. I am so grateful for the experiences I had while traveling and volunteering in Peru. This year, I hope to inspire more OSU students to become involved with our organization. I look forward to serving as a co-president! 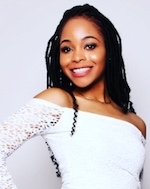 Michaella Allen attends Kennesaw State University. She is a junior with a major in pre-med Biology. Michaella was born on the beautiful island of Jamaica and currently lives in Georgia. 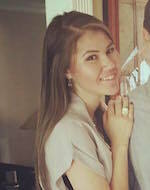 She is has always wanted to volunteer abroad and aspires to become a Dentist. She is excited that VAW Global has given her the chance to do both of the things that she loves! Hello! 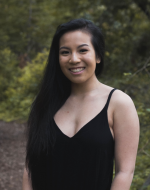 My name is Michelle Nguyen and I am currently a third-year student at UC Santa Cruz majoring in Molecular, Cell & Developmental Biology. 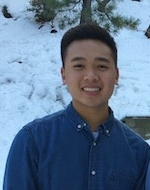 I have an an active member of the Pre-Dental Society at UCSC for the past 3 years and I am planning on attending dental school after graduating. I’m excited to be starting the VAW Dental Outreach chapter here in UCSC and becoming the first Team Leader. As Team Leader, I plan on recruiting a team and organizing a trip for next summer. I first heard about VAW through the Medical Outreach chapter that was established just last year. They were interested in starting up a Dental Outreach chapter here as well so after doing more research on the organization, I was moved by their purpose and decided to partake in expanding VAW to further spread the organization’s name. 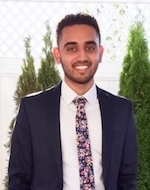 I believe participating on a VAW trip would further push me towards my goal of becoming a successful dentist and helping others, so I want to help provide that opportunity to other pre-dental students too. I’ve been very privileged to be given the healthcare that others can’t afford, so I’m looking forward to providing these benefits to those that lack them. Hey Y’all! My name is Michelle, and I am a third-year Biochemistry major at Georgia Tech. 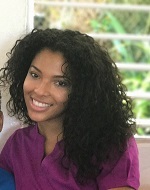 As a Pre-Dental student minoring in Spanish, I was thrilled to have the opportunity to volunteer in the Dominican Republic last summer with VAW Dental. 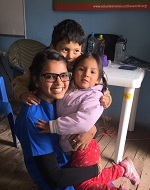 Not only were we able to aid the dentists in helping the people in need in underserved areas, but as a group, we were also able to improve our Spanish language skills to communicate more effectively with members of the community. As such, I am beyond excited to be Team Leader this year and to continue leading volunteers in growing their passion in serving disadvantaged communities through dentistry. Hello! My name is Michelle Zharkov and I am a sophomore at Binghamton University, studying molecular and cellular biology on the pre-dental track. I have always had a passion for travel and helping others. I am also extremely motivated to help address issues regarding global health care maintenance which is why I believe that the establishment of a VAW chapter at Binghamton is so important. I cannot wait to see what the future holds for this organization! Hello everyone, my name is Molly Cornelius and I am a senior at UNL. I am pursuing a bachelor’s degree in Business and Administration while following the pre-dental program. Last spring I went on a mission trip to Cusco, Peru and felt that it was a life-changing experience. After that, being involved in a club like VAW became something very important to me. When I am not in class or studying, I am usually at work. This past summer I have had the privilege of interning at Lincoln Orthodontics learning the logistics of running a private practice, sterilization techniques and prevention of cross contamination. I have also been working inside of the mouth fitting retainers and taking photos. I will continue this internship until next summer when I take the DAT and apply to dental school. I am looking forward to working with VAW and serving as the UNL chapter president! Hey fellas! 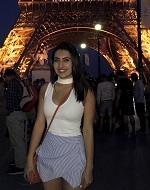 I’m Nakleh Mseeh, a junior at the University of Texas at Dallas, majoring in Biochemistry. I have had the privilege of being involved with VAW since my sophomore year of college, where the UTD team went to Peru. This amazing opportunity opened my eyes to the amount of enjoyment that service and volunteering can bring to a person. Throughout my experience with VAW I have developed a passion for helping communities at home and abroad. I am excited that this year I have the opportunity to bring my amazing experience to other students and show them how valuable service is. In this way, I hope to cultivate lasting positive changes in these various communities and in my fellow students. Hey! 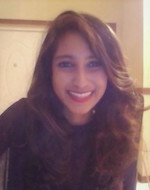 I’m Nidhi Bhagat and I am a junior at Boston University, majoring in Human Physiology with a pre-dental track. I’ve shadowed a few dentists for the past couple years, and hope to do a dental internship during my senior year. Besides VAW, I am a Red Cross volunteer and secretary of BU’s Habitat for Humanity. I also love art, dance, singing, and photography. I also love spending time with friends and family. I’m open to new experiences, and like trying new things. I am passionate about volunteering, and want to help people become confident through their smile. I heard about VAW last year through my pre-dental society, and became really interested in the concept. I went as a regular volunteer on a trip to Peru with UNL last summer. That amazing experience pushed me even further towards pursuing dentistry, and inspired my friend and me to start our own VAW chapter at BU. We are now in the process of leading a trip to the Dominican Republic next summer! Hey everyone! 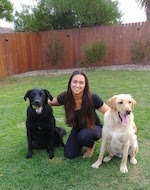 My name is Olivia Galindo; I am currently a third-year Human Development major on a pre-dental track at UC Davis. I am thrilled to begin the VAW Dental Chapter here at Davis! I have actually been to the dental outreach site in the Dominican Republic with another organization. This makes me even more eager to travel with the VAW Dental teams to return to the DR or experience new countries to serve those in need! Since fifth grade I have aspired to specialize in the career of dentistry; I am thrilled to be working with VAW to help me learn and gain new experiences in order to better prepare me for what lies ahead. Outside of studying, I enjoy playing on the UC Davis Women’s Rugby team, relaxing at the farmer’s market, and working as a student mechanic on the Unitrans buses here in Davis. I look forward to serving and providing quality care to the underprivileged abroad! Howdy! My name is Olivia Huber and I am currently a freshman at Texas A&M university! I am majoring in allied health with hopes to one day become an orthodontist! I am very outgoing and always looking for ways to better myself! VAW presents the opportunity for me to make a huge step towards my career through an amazing experience! Getting to immerse myself in another culture and learn how they undergo dental procedures in another country is amazing! I am looking forward to working with VAW for several reasons! I am excited to see where this journey will take me and I can’t wait to recruit others into this amazing experience!! Hello! My name is Patrick Patel and I am a 4th year pre-dental student at the University of Texas at Arlington. 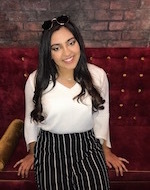 I am currently majoring in Biology and minoring in Business Administration and the current team leader of the newly formed UTA chapter of Volunteers Around the World. As team leader I plan on putting a team together for this upcoming summer to either volunteer in Peru or the Dominican Republic. I believe VAW is a wonderful opportunity to help everyone expand clinical experience about the dental field by learning from hands on experience. Currently, I am in two Pre-Dental Societies on my campus and also working as a Dental Assistant at an orthodontist office. During my free time I enjoy playing golf, interacting with new people, and love trying out new places to eat. I am super excited to be able to have the opportunity to provide knowledge and oral health care to various underprivileged communities, and at the same time gain cultural enrichment. I know this will be one of my most remarkable experiences and I can’t wait live it! Hi! 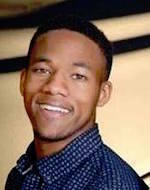 I’m Quintin, and I am a junior at the University of Pittsburgh, where I am majoring in chemistry and on the pre-dental track. This is my first year as a team leader for Volunteers Around the World, and I am very excited to start this chapter here at Pitt. I have worked as an undergraduate teaching assistant, done research at the dental school, and shadowed various types of surgeons and dentists. My dream is to become an oral surgeon and open my own practice one day. I discovered VAW through my good friend who is the team leader for the pre-med outreach program for VAW at Pitt. Once I discovered that there was not a dental outreach group for VAW at Pitt, I was extremely excited to get one started. I am very passionate about helping those in need anyway I can, and this is an amazing way to help a lot of people and learn a great deal. I am very excited to also give many students at Pitt this opportunity to help as many people as we can. Hello All! 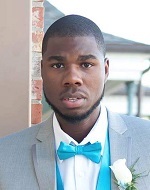 I’m Rochester Alston and I am a sophomore at the University of Mississippi. My major is Biology while minoring in Chemistry and Military Science. I’ve always wanted to practice dentistry since junior high and to give everyone the smile they deserve. I feel as if it is my duty to give back and part of that is one reason why I’ve chosen to serve my time in the United States Army and hopefully to further my career as dentist in the army. I have now been granted this wonderful opportunity to be the President of Ole Miss’s Dental Outreach Chapter of VAW. It is an honor to be a team leader and I plan to do great things with it. Outside of school and work, my hobbies include hunting, cooking, and touring the world. I can’t wait to see our chapter at the University of Mississippi take VAW to the next level. My name is Saianna Solomon and I’m from Trinidad & Tobago. 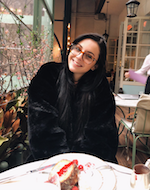 I’m currently a junior at New York University pursuing a BSc in Neuroscience and minoring in Chemistry on the pre-dental track after which I intend to attend dental school. My passions are service to others, traveling, and learning new languages, all of which VAW provides an avenue for me to pursue. Hi! 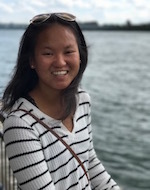 I’m Sarah Nagamine, a junior at the University of Massachusetts, Amherst majoring in Communication Disorders while on a pre-dental track. My dream and aspiration is to become a dentist. In the states, I have had numerous opportunities to shadow dentists, but nothing compares to the opportunities that VAW gave me. Traveling to poverty stricken areas and working in a makeshift clinic setting really adds to the whole experience. Working with the VAW will allow you to participate in once in a lifetime opportunities. During the summer of 2017 I went on my VAW trip to the Dominican Republic and I can easily say that it was the highlight of my summer. I had such a great experience participating in a VAW trip and am very excited to now be a part of the team. When working with the VAW team on a trip, you’re not only there to learn, you’re there to help as well. You’re making a difference in people’s lives. And to me, that is very impactful. When I’m not busy with school work, I enjoy doing a number of different things in my free time. I’m fortunate to grow up on the California coast so I spend a lot of free time at the beach or outdoors in general. I also enjoy volunteering my time at my church helping out with different church activities. I’m looking forward to sharing my great experience with the VAW with others and hope I can continue to help others as well! I am a sophomore attending the George Washington University where I will be majoring in biological sciences and minoring in Health Sciences on the pre-dental track. This is the first year that GWU will be having a VAW Dental chapter and I am so excited to be a part of establishing it here as a Team Leader. Here at school, I am a part of the French Club, the Red Cross Disaster Actions Team, and the Iranian Student Association. I also am a research volunteer where I work 6 hours a week in GW Hospital’s Emergency Department. After spending my summer in Israel on an Archaeological Dig through Case Westerns Dental School of Medicine, I solidified my interest in going to Dental School and hopefully pursuing Oral Surgery. Through my love for service, travel, and Dentistry, I know that VAW will be an incredible experience and I hope to share the amazing opportunities that VAW brings with other students at GWU. Hi there! 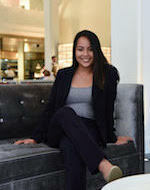 My name is Tiffany Duong, and I’m a fourth year at Virginia Commonwealth University. I’m a chemistry major, but my ultimate dream is to become a dentist. VAW is the perfect combination of traveling and dedicating time towards serving others. It’s been an honor serving as VAW @ VCU’s Team Leader. I can’t wait for another year ahead and to see this organization’s growth! Hey! 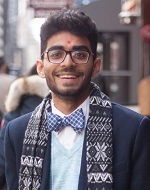 My name is Vandan Patel and I am currently a sophomore at Auburn University. I am pursuing a major in Biomedical Sciences and I am on the pre-dental track. 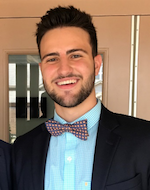 I have had the chance to shadow dentists in the past two years, which has allowed me to truly understand why I wish to pursue a career in the dental field. I became interested in dentistry during my junior year of high school when I started narrowing my future career and college choices. VAW is a great organization as it allows for opportunities to serve under-privileged countries throughout the world, and at the same time explore more into the profession. The country of Peru has always been on my list to travel to and I am planning on going there with my chapter this upcoming year. My hobbies include watching and playing most sports, model united nations, and engaging with my friends and family. Hi! My name is Yeshin Kwon and I am a senior at Cornell University. I am majoring in Biology & Society and hoping to attend dental school in the future. 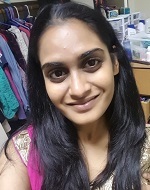 I founded the VAW Dental Outreach on my college campus so that pre-dental students, such as myself, had the opportunity to get involved in dental community service and help underprivileged individuals around the world. During the summer of 2017, I was the Team Leader for our outreach trip to the Dominican Republic. This trip was one of the most eye-opening, educational, and impactful experiences I have taken part in and I look forward to volunteering with VAW again! In my free time, I love to stay active and play sports. One of my favorite memories from my trip to the Dominican Republic was trying to teach the kids there some soccer moves that I picked up throughout the years. Overall, I had an awesome experience with VAW, which reinforced my love for dentistry and serving others. I’m excited to continue to organize future dental trips from my school so that more people can come together to help underserved communities and make a difference in the lives of those less fortunate.